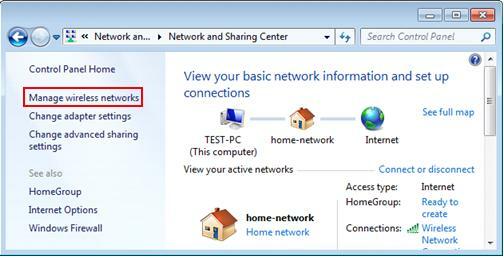 3) Network and Sharing Center window will appear, proceed to click Manage wireless networks on left panel. 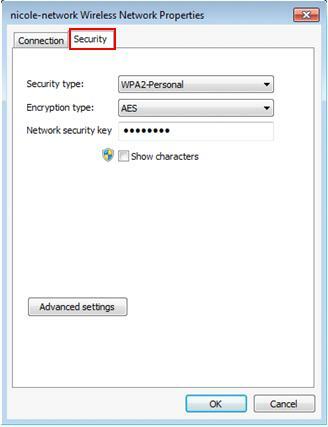 4) Manage Wireless Networks window will appear, and here you can see all available wireless network connection profiles. 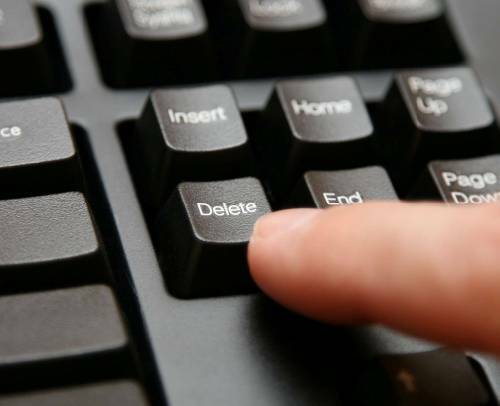 Select the profile you don’t use anymore, click on Remove to delete the selected profile. That's it! Note: Some explanation on profile icons! 2 big computers icon means infrastructure or access point network (you will connect to the wireless network via access point or wireless router). That 3 connected mini computers icon means ad hoc wireless network (the computers will connect to each others directly and wirelessly). Note: You can click Add to add new wireless network profile. Note: Please also note that the network profile that located at higher position will have higher priority. 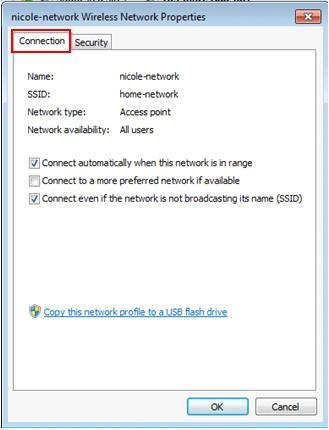 As an example, home-network will be connected instead of nicole-network if both networks are in connecting range due to higher priority on home-network profile. You can click on Move up/Move down to change the priority. 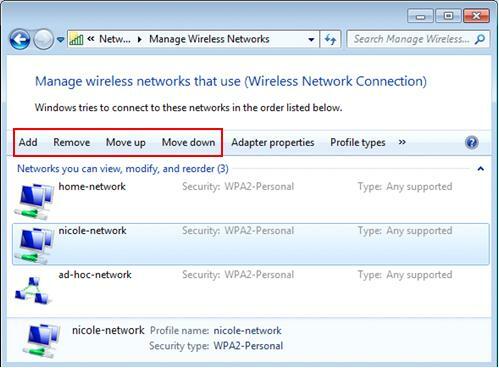 5) If you want to view and change the wireless network profile setting, just double click on the profile. The profile setting window will appear, and you can view/make change by checking on Connection and ` tabs.